Finishing up this magnificent collection is 6 more beauties that are in the Party Girls collection. You will find that so many of these colors are perfect for both everyday work AND that after work party. Join in me in checking out the last 6 loves of Party Girls! Ummm hey bubblegum pink. Kelsey is a gorgeous, muted pink that fits into any holiday collection. I love the brightness of this color and how it doesn't lean purple! I really like that Zoya included this in their holiday collection. 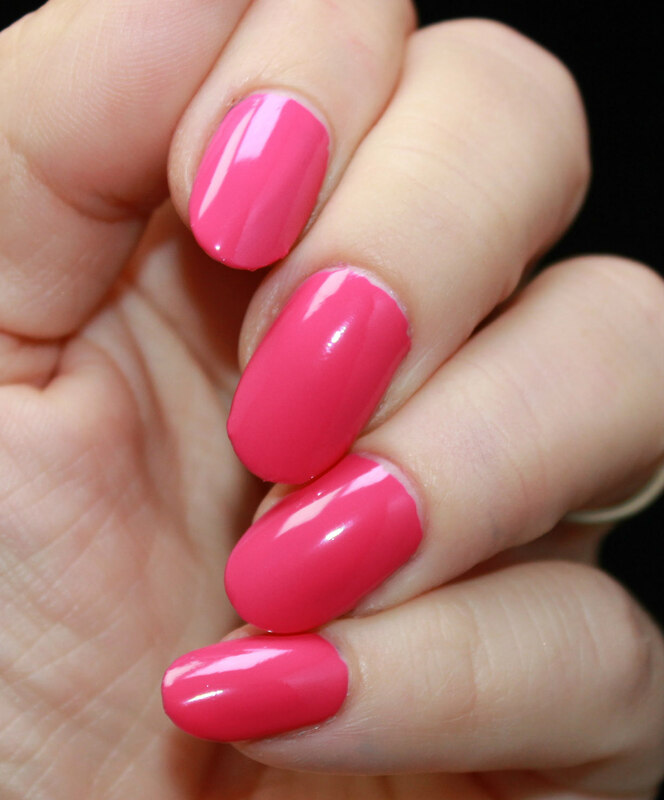 A bright color is much needed for any holiday manicure. Zoya describes this as a deep aubergine cream. I love this color! 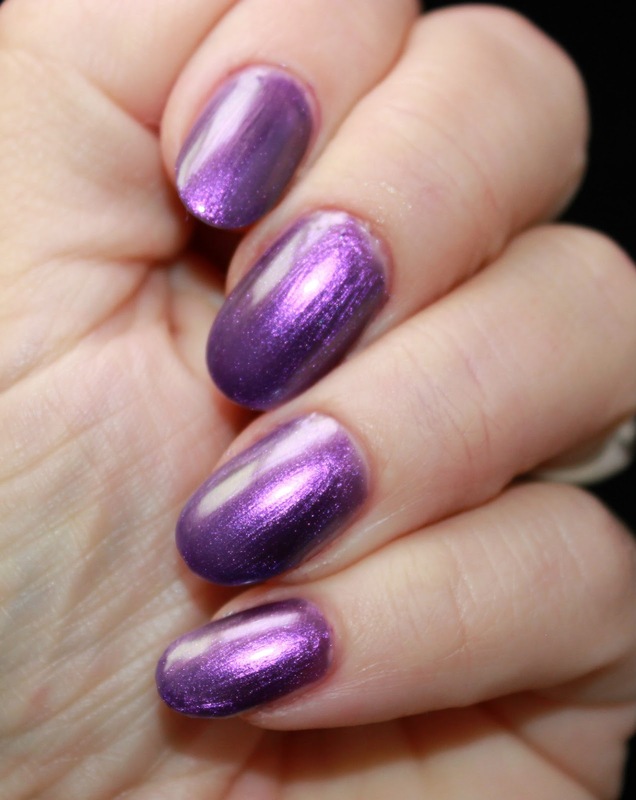 I am a purple lover and this shade is perfect! Its almost like a lighter, redder plum. Eggplant would be the best match of a real world object I can describe an aubergine color. 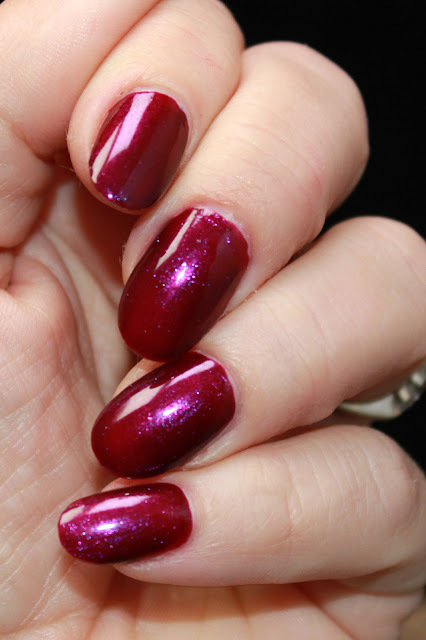 I would use this pretty color pretty much all winter long through all my parties, too! I love the purple shade and I love how perfect it looks with my skin tone. This is such a magical, pretty color. It's a magenta, red leaning plum that shifts with its shimmer in the light. As you can see below it looks different than it does above because of the light shift. I love these types of nail polishes that shift and almost appear as if they change color. The light does magical things with colors and for this polish, it sure does..
Zoya says this is a multi chrome with blue, pewter, purple, and green shifts. I am not seeing that at all. I didn't see that at all anywhere in the polish. I saw a straight metallic, royal purple and nothing more. This makes me really sad because I loooove a good multi chrome and every party collection needs one as the match all, but this was a miss for me! 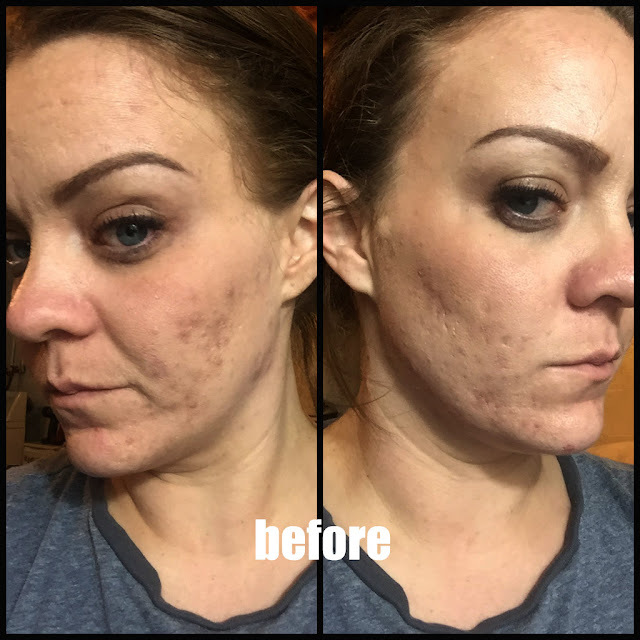 I even went back to double check the bottle and it's pretty much straight purple. Sad puppy over here. 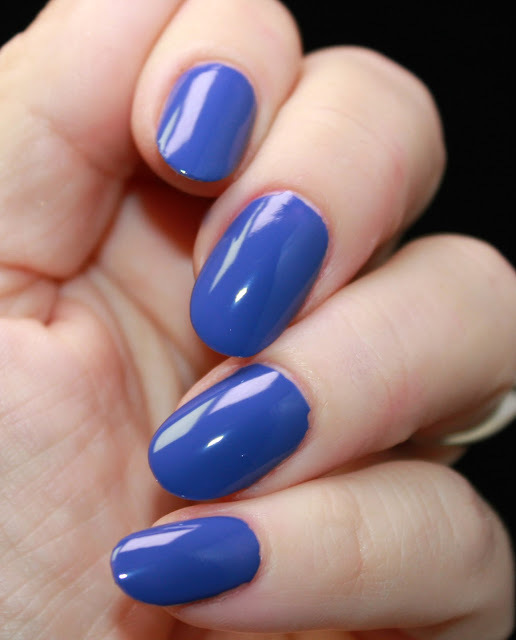 Periwinkle is a great shade for just about any season. 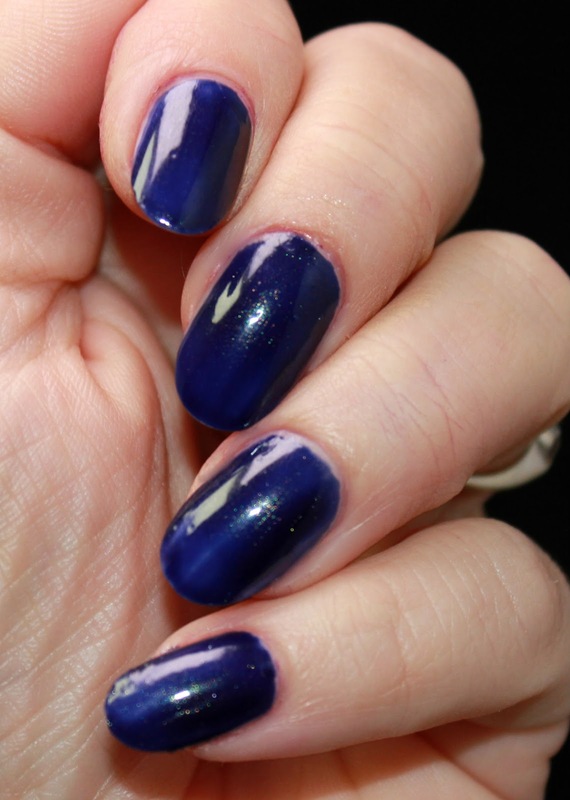 I am excited that Zoya included it in a winter collection. It's a great alternative to the traditional deep, winter blue. 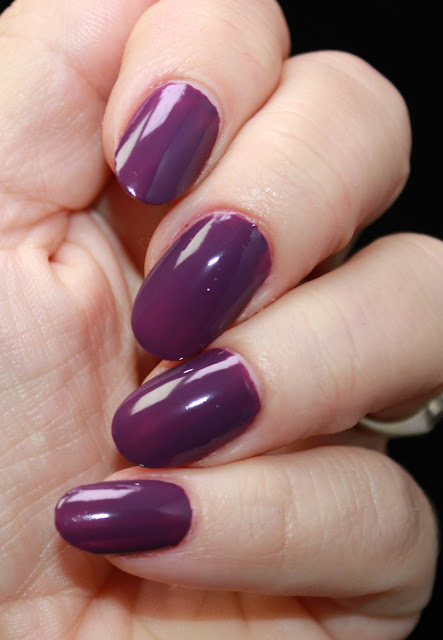 As mentioned above, I am glad that this color is part of the winter collection because it really is an all year color. Periwinkle can be used for just about any season and is a great vibrant color for any party occasion. 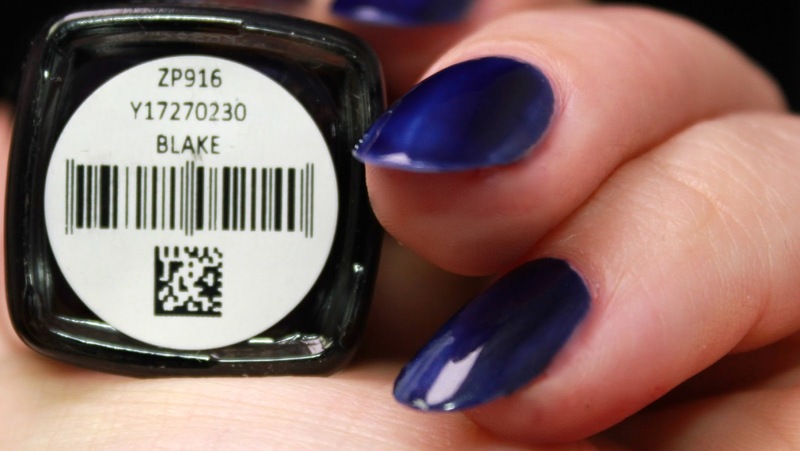 Blake is a deep sapphire shimmer. It is the only vampy color from this collection which is both surprising and refreshing, for me. I love all things vampy for my winter colors. I usually throw on any dark red, blue, black, green or purple for the winter. It's just something that I think goes with the gross cold weather. They also happen to by my favorite shades so there's only a small amount of time of year that collections put out new vampy colors. Overall, I love these colors. 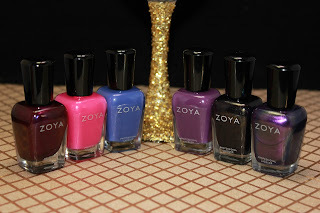 I think Zoya did a great job of incorporating every spectrum and possibility into this entire collection. The first part of this collection was very red, orange based so I am glad that more blues and purples are part of the 2nd half. Round of applause, Zoya, round of applause! What do you think of these colors? Are you planning on picking up any of these colors? Do you have a favorite, yet?